How do I Make Smoked Onions on a Smoker? Onions are a healthy source of vitamin C.
3 How do I Make Smoked Onions on a Smoker? Onions pair well with almost any type of meat, potato or vegetable that you prepare on your outdoor grill. 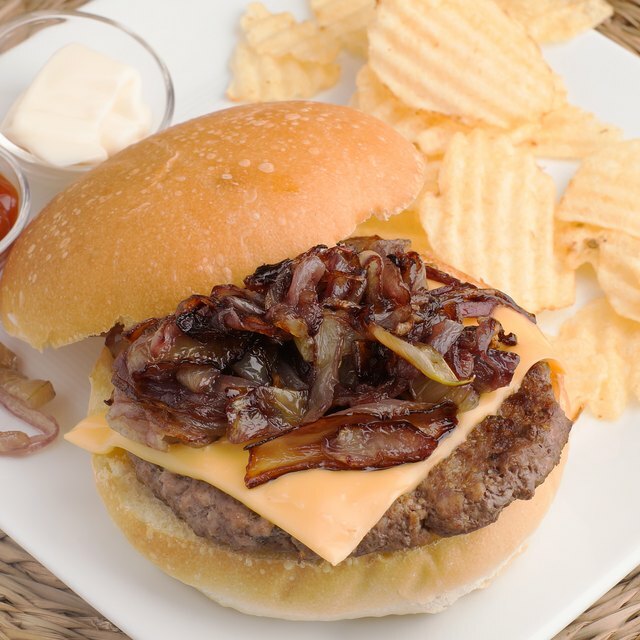 Caramelized onions take on a rich flavor that is part sweet and part savory. If you're preparing a meal on your barbecue grill, you can also caramelize a batch of fresh onions to complement the flavors of the rest of your food. 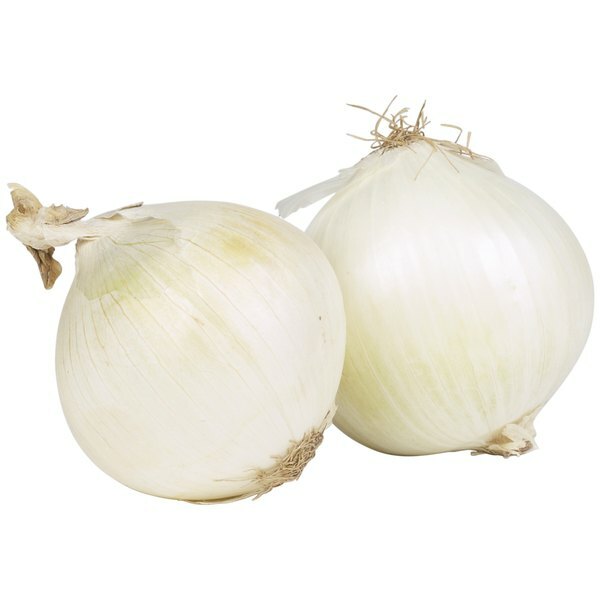 A raw onion has a bold and intense flavor that enhances the taste of many foods, such as tacos, salads and casseroles. Onions are naturally sweet, however, and when you caramelize them, their sweet taste is brought out. The addition of a bit of sugar allows the natural sugas in the onions to caramelize, which increases the flavor and intensity of a raw onion. Preheat your outdoor grill to medium-high heat. Place a heavy skillet on the grill rack and allow it to begin getting hot. Add 4 tablespoons of unsalted butter and 1 tablespoon of olive oil to the skillet. While the butter melts, slice two large onions. Add the onion slices to the melted butter and stir so that they're all coated with butter and oil. Cook the onions until they begin to get soft and start to wilt. Turn the heat on your outdoor grill down to medium-low and continue cooking for about 10 minutes. Stir the onions occasionally. Sprinkle 2 teaspoons of sugar over the onions, stir to combine and cook for 10 to 15 minutes more. The onions are done caramelizing when they're a deep, golden brown color. Caramelized onions can be eaten on their own as a flavorful side dish, but they can also be added to a variety of other recipes to enhance the taste. Top grilled steak, pork chops or chicken with caramelized onions or scatter over a baked potato. Stir caramelized onions into steamed vegetables, such as broccoli or green beans, to add flavor and nutrition. Add caramelized onions to your favorite vegetable soup recipe, layer into a grilled cheese sandwich or use as a healthy pizza topping. Add seasonings to your onions to further enhance their flavor. Sprinkle the onions with salt, black pepper, rosemary or thyme when you add them to the skillet. Once your onions have achieved a golden color, remove them from the heat immediately. Overcooking the onions will ruin their rich flavor. Use caution when you remove the skillet from your outdoor grill. The handle will get quite hot while the onions are caramelizing, so use a pot holder when moving the skillet.